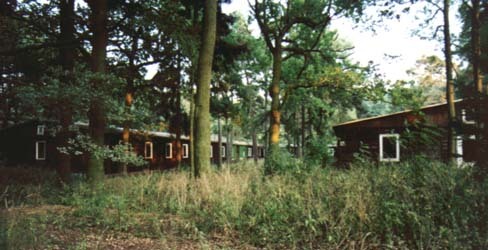 The VKN camp (Versuchs-Kommando Nord = test command north) is located in Karlshagen, west of the railway line to Peenemünde, opposite to the former Karlshagen settlement. The camp consists of about 20 horseshoe-shaped wooden shacks at a horseshoe-shaped road. 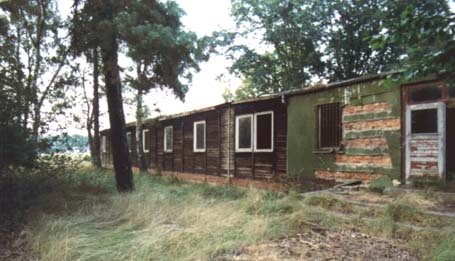 The camp served as quarters for soldiers, who, independently of their rank, were assigned as scientists or technicians corresponding to their education. Later, the buildings were used by the Soviet army, then by the NVA, and shortly even by the Bundeswehr.